Cable flexing endurance tester CBL/5S | Aikoh Engineering Co., Ltd.
A cable flexing endurance tester compliant with the JIS and UL Standards. Flexing angle changeable between ±40 degrees and ±90 degrees. 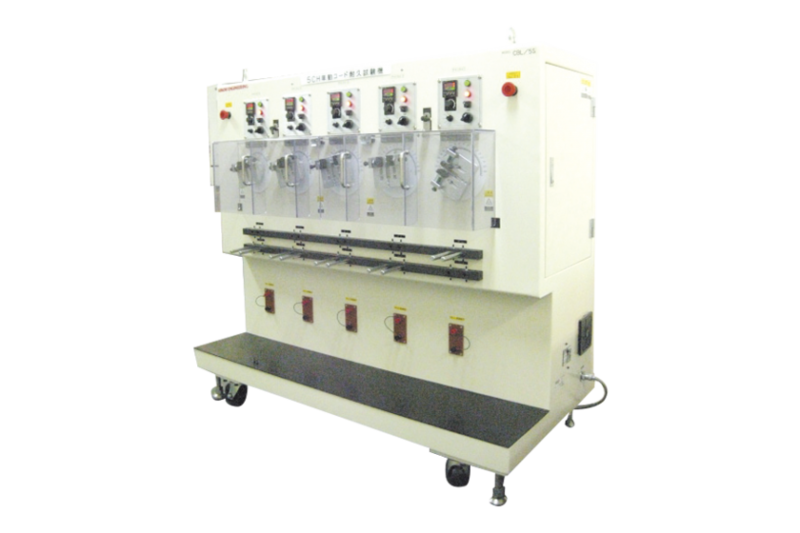 Capable of testing various materials such as cables, cords and tubes. Both of the interlocked type with 5 channels operating simultaneously and the manual type with each channel operating independently are available. In addition to the 5-channel model, models of a required number of channels are available upon request. Function to stop the tester automatically when cable breakage is detected. Major application Endurance test of cords, cables, tubes, etc.